Dutch curb subclinical antibiotics for livestock; now what about the U.S.? 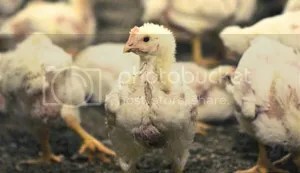 The problem of widespread and indiscriminate use of small doses of antibiotics in animal feed is widely regarded as leading to the development of antibiotic resistant disease strains such as MSRA. Nicholas Kristof has has written about this in the New York Times years ago (here and here). And the problem has been widely discussed in the alternative media as well. What’s new in this story by Jane Black is a report on how the Dutch government is actually doing something to improve the situation. And if they can do it why couldn’t we? Would you like Superbugs with that? “…For Bob, a crucial step came when he switched to organic production eight years ago. A Stanford study has cast doubt on whether organic food is more nutritious, but it affirms that organic food does contain fewer pesticides and antibiotic-resistant bacteria. Bob’s big worry in switching to organic production was whether cows would stay healthy without routine use of antibiotics because pharmaceutical salesmen were always pushing them as essential. Indeed, about 80 percent of antibiotics in the United States go to farm animals — leading to the risk of more antibiotic-resistant microbes, which already cause infections that kill some 100,000 Americans annually. “We aren’t single individuals, but colonies of trillions. Our bodies, and our guts in particular, are home to vast swarms of bacteria and other microbes. This “microbiota” helps us to harvest energy from our food by breaking down the complex molecules that our own cells cannot cope with. They build vitamins that we cannot manufacture. They ‘talk to’ our immune system to ensure that it develops correctly, and they prevent invasions from other more harmful microbes. They’re our partners in life. New York judge Theodor Katz is forcing the United States Food and Drug Administration to take another look at petitions from those who want a ban on antibiotics in livestock and poultry farming. The judge is tangling with a powerful Washington bureaucracy, not to mention the makers and marketers of antibiotics and livestock and poultry farmers. “The cynicism of the Food and Drug Administration (FDA) knows no bounds. Just before the holidays, the agency, which is supposed to protect Americans’ health,reneged on a 35-year-old pledge to ban farmers from administering low levels (also called subtherapeutic levels) of antibiotics that are used to combat infections in humans to livestock, not to cure disease, but to increase the healthy animals’ growth rates.